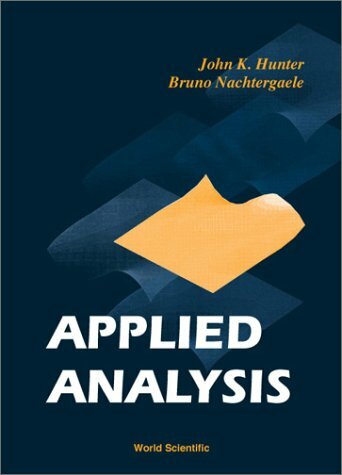 Introduces applied analysis at the graduate level, particularly those parts of analysis useful in graduate applications. Only a background in basic calculus, linear algebra and ordinary differential equations, and functions and sets is required in order to fully understand the material presented. This book introduces readers to a rigorous understanding of mathematical analysis and presents challenging concepts as clearly as possible. Written for those who want to gain an understanding of mathematical analysis and challenging concepts. The notes provide a short presentation of the main concepts of differential calculus. Our point of view is the abstract setting of a real normed space, and when necessary to specialize to the case of a finite dimensional space endowed with a basis.